The leaders and supporters of the governing New Patriotic Party in the Northern Region have thrown a huge party to celebrate 1 year in government. 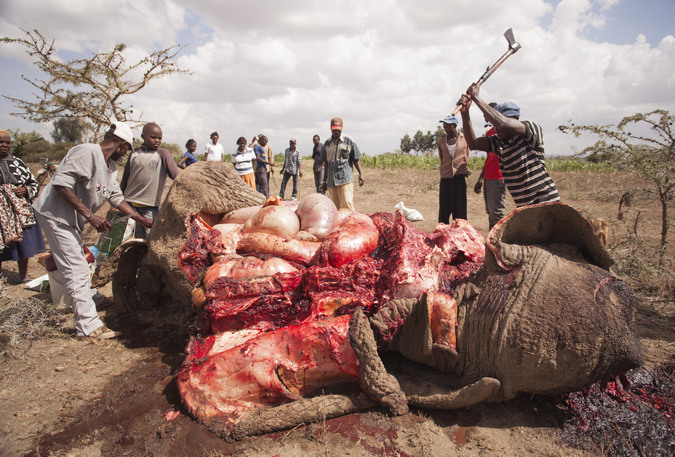 In doing so, they slaughtered one big elephant which they say is a sign of victory in the coming years. “We know we will not be in power forever. But once we are, we need to enjoy and make merry” the leader of the group said.